Ngaio is one of the northern suburbs of Wellington, situated among hills and native trees, with glimpses of the Wellington Harbour. The area was settled during the first European settlement of Wellington, and retains many treasures of the past. Cummings Park Library is a branch within the Wellington City Libraries network. It is situated at the entrance to Cummings Park and has a lovely backdrop of native trees. The library is very close to the railway station, as well as being situated on a busy link route. The neighbouring car park makes access to the library relatively easy and safe. The present building was opened in November, 1989. The park setting and the neighbouring town hall give the library and the area a special community focus. This community focus has been reinforced by the 850 tiles at the entrance of the library. These tiles were made by two local potters, Paul Winspear and Paul Wotherspoon who worked with children from Ngaio and Chartwell Schools in the town hall to design them. Ngaio Triptych by Toni Gernert (a fabric impression of Ngaio) is installed above the enquiries desk and is much appreciated by all who view it. The artwork comprises of three panels (each 800mm by 2400mm) fashioned from pieces of manipulated fabric which, with fibre threads and unusual machine stitching, are applied to a canvas background and framed. The artist's commentary is also framed for all to share and to enhance appreciation of this unique local artwork. Computers for internet and email access are available at a rate of $1.50 per 15 minutes. Printing is 20c per page black and white, or 50c per page colour. Our free internet service provides free access to selected websites including the Wellington City Libraries website and catalogue, mygateway databases, government sites, select NZ sites, and many more. Wifi is also available. There is a 100MB daily data limit per customer (network wide) and no password required. Free word processing is available from our computers. Software includes: Microsoft Word, Microsoft Excel, Microsoft PowerPoint and Adobe Reader 6.0. CD and memory sticks (USB devices) are available for purchasing. Printing is 20c per page black and white, or 50c per page colour. The photocopier provides both black and white and colour copying. It is coin-box operated only and accepts all coins. Photocopying rates are 20c per page A4 black and white; 40c per page A3 black and white; $2 per page A4 colour and $3 per page A3 colour. Scanning is available - $1.50 for up to 20MB then 20c for each additional page. Scanning is done by staff. Please ask us about scanning a document for you. 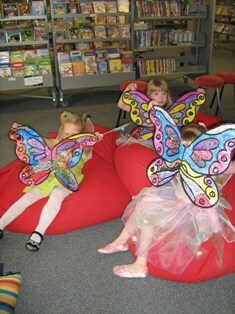 Local pre-school and primary school groups as well as families are regular library users throughout the school term. 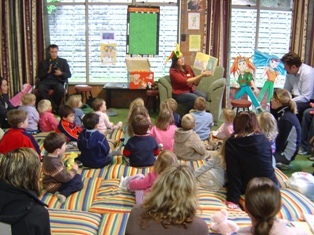 Creche, kindergartens and the kohanga reo (language nest or Maori pre-school) are all regular library users. 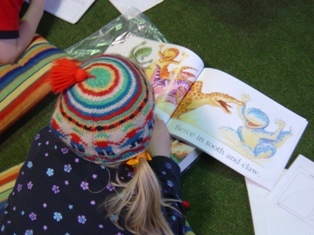 Cummings Park Library offers a range of fun and inspiring programmes and events for children including Baby Rock & Rhyme, Preschool Storytime and holiday activities. For more information about these programmes please visit the Cummings Park Library whats on page! The Cummings Park Library collection offers a range of different material including fiction, non-fiction, children's and young adult collections, large print books, bestsellers, magazines, audio books, kohikohinga Maori collection, comics, maps, reference material and online databases. The library has a large audio visual collection of CDs and DVDs (for adults and youth borrowers). The library also holds a week's worth of copies of the Dominion Post. In addition, we also have many Wellington City Council publications and various local news and information sources available. A special grant, awarded in 1990 to mark the 150th anniversary of the signing of the Treaty of Waitangi, enabled the establishment of a local oral history collection. This captured memories of local personalities as a permanent record of the Ngaio area. Please ask Cummings Park Library staff if you would like to know further about this. The Māori branch name for Cummings Park Library is Korimako. The Korimako stream, named after the bellbird, is the Ngaio branch of the head streams of the Kaiwharawhara and rises on the southern slopes of Kaukau (Tari-kākā). Find out more on our Māori branch names page.